The government passed its first test Sunday with the Open Skies agreement, Bennett says. The coalition passed its first test Sunday with the approval of the “Open Skies” agreement with the European Union, Minister of Economics Naftali Bennett said Sunday. “We made the right decision, even if it is not a simple decision,” Bennett said. Israeli airlines went on strike Sunday to protest the agreement, which they say will adversely impact the industry and will cost tens of thousands of jobs. Credit for the government’s decision belongs primarily to Transportation Minister Yisrael Katz and Finance Minister Yair Lapid, he said. Bennett disputed airlines’ claims that the new arrangement will hurt employment. “The price of flights will drop dramatically, and incoming tourism will flourish. A lot more Europeans will visit… it will create many jobs,” he said. Bennett agreed that the government must assist Israeli airlines. “There are a few things that need to be done now: to sit with the airlines and to make sure to help them regarding inequalities in competition, to help them take care of their workers. To deal with the security aspects that are likely to come up,” he said. 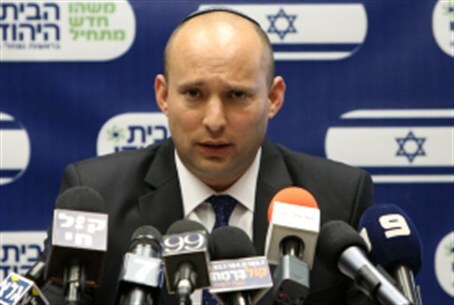 Lowering the cost of living is important, Bennett said, “but there are defense-related issues we cannot dismiss… We need to examine the difficulties, solutions exist.” Solutions will mean compromise, he added, “We cannot demand a high level of security and not pay for it, but on the other hand, if the government pays 100% of the security-related expenses El Al will have no motivation to become more efficient,” he said.